Home » Current Affairs » The Banking Royal Commission: Why is no one pointing out the lack of individual responsibility? 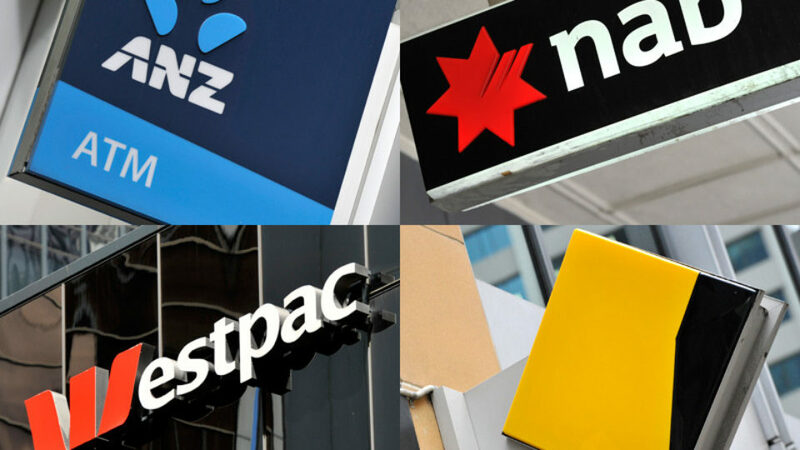 The royal commission into the banking sector continues, revealing unsavory practices across the industry that had long been suspected. Some of the findings have indeed been unforgiveable, such as revelations that the AMP lied to regulators and that the Commonwealth Bank were charging fees to clients even after they had died. But the majority of the criticism leveled at the banks has been due to the fact that lenders have been loaning money and insurance policies to customers who cannot afford it. This is where my personal sympathy for the individuals begins to wane. Much has been said and written about the banks and their culpability, but there have been few questions asked about the individual responsibility of those who agreed and signed onto these loans anyway. Sure, they might say that they were taking financial advice from the bank, but shouldn’t any customer be at least somewhat aware of the fact that a financial advisor from the bank is acting more in the bank’s interest than their own? It is like taking car quality advice from a salesman in a car yard. You take it with a grain of salt. Banks should not be loaning money to people who can’t afford it. This is a fair and reasonable argument, but the other side to the equation is that individuals should not be signing up to loans that they cannot afford. A responsible person will consider their income, calculate their living expenses, assess the possibility of interest rate rises or interruptions to income (such as a one income scenario from loss of job or temporary time off due to children) and do their sums from there. It is unfathomable that any person would sign on to such a life changing commitment without first doing their due diligence and considering their capacity to pay in the face of alternative scenarios. At the end of the day, it is not the bank forcing an individual to sign on to a home loan or a personal loan, the individual makes that choice from their own free will. Lack of financial literacy is not an excuse, either. If you do not understand the intricacies of finance then it is prudent to seek independent financial advice that is not coming from the institution you intend to lend from! It’s called getting second and third opinions. We do this in every facet of our lives. If we want an extension done for our home, do we just jump on the first quote or research thoroughly to compare the quotes and the professional advice? One would assume that since a home loan will dominate one’s life for 30 years that it would be essential to crosscheck financial advice to ensure that it is accurate, fair and realistic. With few exceptions, no-one has pointed this out. Take the case of Amy Nivison-Smith. She approached the National Australia Bank to loan $35,000 to buy a car. She was approved for a loan after 20 minutes. Amy did not have a strong savings record and she was still living at home at the time. Now she is struggling to pay off the loan and meet its conditions. NAB was blamed for irresponsible lending. Sure, NAB may have been irresponsible, but it is a two way street. It must have occurred to Nivison-Smith that she may struggle to meet the terms of the loan. She even said: “I wasn’t actually expecting to get approved, and somehow I did.” Surely this would sound some alarm bells. This is one case study of many, but it is baffling that the question is not being put to the individuals about their role in signing onto something that even they knew they couldn’t afford. “Whether it’s having a bet down the pub or punting on an investment property or guaranteeing your child’s business loan, you pay your money and you take your chances. Exactly. People forget that banks are a private business, they’re in it to make money. Too often, individuals are only too happy to collect the finance with one hand, but then shout ‘crook’ and ‘snake’ when the bank comes knocking to get its money back. It is too easily forgotten that without the banks, most of us would not have the capacity to purchase a home in the first place. Be careful what you wish for if you are barracking for the banks to be hit hard. The solution could be worse than the disease. What needs to be remembered in all of this is that we, as individuals, are free agents, and we take on risk by signing on the dotted line. If things go pear shaped and you cannot pay for whatever reason, that’s not on the bank, it’s on you. 1 Comment on The Banking Royal Commission: Why is no one pointing out the lack of individual responsibility? Putting aside the egregious behavior and bullying tactics of the banks, I agree that in some cases customers made some very poor decisions. But before we travel too far down the road of individual responsibility, I believe one needs to look deeper. I am similarly skeptical of those customers who took the view that if the bank is lending me the money, then they must believe that I can pay it back. Neither banks nor any other institution is going to judge how much pain or risk you are prepared to bear. Its up to the individual to decide how much they are willing to give up (or potentially lose), to get that they want – be it a car, a house or their child’s business. For these individuals, the banks actions merely reinforce their existing bias to over optimism. But there is another group of individuals who do deserve our sympathy. They were not derailed by greed, or over optimism, but misplaced trust. As you say, these same people wouldn’t trust a salesman in a car yard but blindly accepted the utterances of a complete stranger merely because of who they worked for. Why? For so long the banks have been espousing the view that they are responsible, ethical corporations who are acting in the best interest of customers, community, and shareholders. Even the Government fell for this line. Hopefully the Royal Commission has burst this bubble for good and we now see that they were always only acting in the best interest of their Executives’ bonuses, and maybe shareholders a very distant second. With any luck, out of this we will redefine the bank-customer relationship where the individual realizes that it is the same relationship as the salesman in the car yard.